Did you know? Kids ages 13 to 16 year can also join an adult in any BAKE! class (except BAKE!-cations) for 50% off the regular class price? Please call 734-761-7255 for this discount. We'll do a little baking and a lot of decorating so that you can create your own tasty and cute-as-a-button cupcakes. 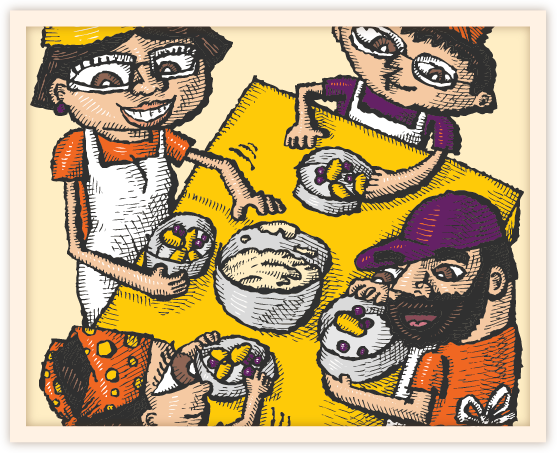 The family works on a recipe together and you'll take home what you made in class!